With a previous album as well as a side venture by Logan Sky already under their belts this year, Steven Jones + Logan Sky have gone for a trilogy of work to mark the waning days of 2018. Let it not be said that this duo enjoys resting on any of their perceived laurels. With the former two projects having their own distinct vibes that differed from their more traditional footprint, “The Electric Eye” sees the duo hitting closer to the core of their sonic identity with none of the playful experimentation of “Hans + Liselotte” or the documentarian approach of “Aftershock.” That means that in some ways this was a “back to the basics” project after some injection of new creative DNA to stimulate their art. That does not mean that this was just business as usual for the duo since the new album was based on a narrative conceit that gave this project a strong cohesive backbone. To wit, the pair have built the album on a narrative structure that saw a character, Okans – possibly from the future, wash ashore on the Thames river and try to piece together the past he can no longer remember. If only he hadn’t somehow lost his cybernetic headset; his “electric eye” that the album takes its title from. Somewhat complicating this scenario is the mounting evidence that Okans is only under the delusion that he’s from the future. The pair took inspiration from some of their cinematic favorites like “It Couldn’t Happen Here” [Pet Shop Boys] and “The Man Who Fell To Earth” [Bowie] to build a sturdy framework for the songs on this tight, little matte black tech cube of an album. The album began with a bang with “Violet Alert” with Sky in full tech glitch soundtrack mode with thunderstorm foley effects and tantalizing snatches of radio talk describing a violent electrical storm giving way to his pulsating synths and white noise pads over a track that’s purely cinematic and building a film in your mind even as I type these words. “Voltage” builds the sound from that electric beginning as Jones slides into the co-pilot’s seat and brings along frequent vocal foil Lauren [Visage] Duval to lend some of her beautiful harmonies to the mix. The rubber really hits the road for a luxurious ride on this one as the cinematic synths swoop down from above as the camera pans to reveal the stroboscopic white lines of the highway matching the beat of the fat bass synths. One can almost see the aspect ratio of the camera widen in one’s mind’s eye. Yes, please. Give us more. The title track was another “single” track [remixes of this and “Voltage” were commissioned as bonus tracks for the album] that was a strong, melodic winner with flat out fantastic singing from Jones and Duval here. In particular, Jones investigates his falsetto for the first time I can recall hearing and the delicate vocal interplay harmonies between him and the angelic Duval on the song’s extended coda were nothing short of spectacular. And to top it off, Jones managed to instill the word “febrile” into the lyrics! Then it was time for Sky to take the spotlight with some more delicious instro goodness. “Okans’ Run” with its pulsating sawtooth waves suggested a reference to “Logan’s Run” might being made here, but “Solid Crystal Core” had the choral synth patches that took me back to Depeche Mode’s “A Broken Frame” and its similar autumnal melancholy. Of course, Jones + Sky have been known to perform full Depeche Mode sets at the drop of a hat, so this is not a revelation. The downtempo “Carousel” confirmed the influence of “Logan’s Run” on this project since it was fully an example of Jones + Sky building one of their atmospheric voice over tracks around the carousel conceit of that famous film↓. It was time for a real change of pace and the final vocal track, “Christmas In The Machine,” was a lovely winter ballad built around piano and string patches to bring the narrative to a chilly end. Then Mr. Sky played cleanup with two more instrumentals, though “Night Shimmers” almost functioned as an intro for the pensive closer, “Blood Moon.” I really enjoyed the Simmons drums on that one. But a few drum breaks do not an album spoil, and this one has sequestered itself in my cranium quite effectively this week with the listening it’s gotten. It’s hard to believe that in the last calendar year that Jones + Sky have released three of their own albums, but why keep a good thing down? 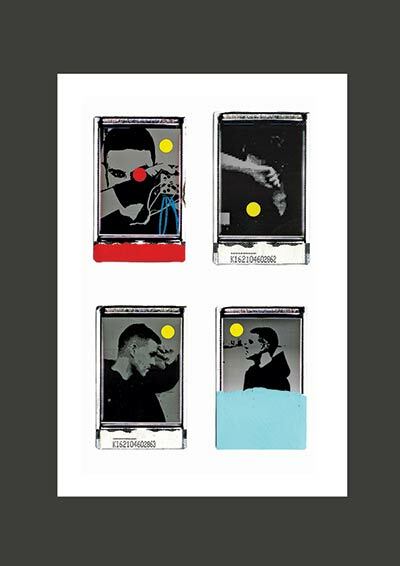 This album showed them consolidating the sophistication of their approach to powerful synthpop while simultaneously pointing backward to the roots of Logan Sky’s solo work in the minimal synth soundtrack vein. They certainly have gotten the balance right here and have served up an album that invites frequent play as the science fiction elements that inspired the songs takes a back seat to the warmth and emotionalism that they always bring to the table. Keep ’em coming, lads! Purchase here at £5 for the DL or £7 for the limited CD [hint – go for the CD]. 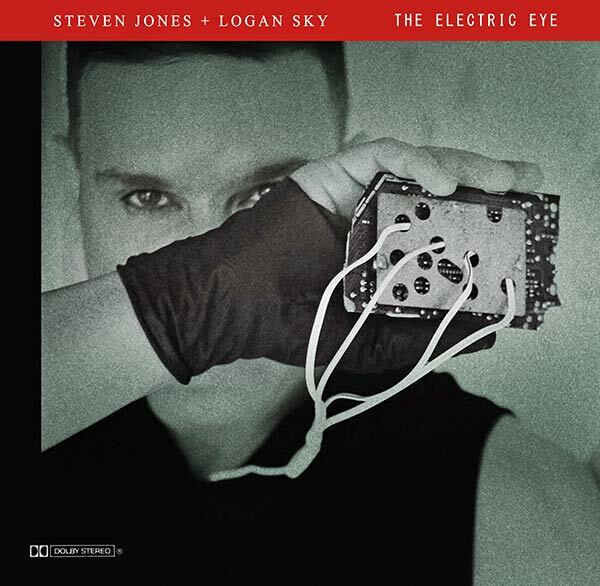 This entry was posted in Record Review and tagged 2018, Logan Sky, Steven Jones, The Electric Eye. Bookmark the permalink. You ain’t ‘alf kidding about that John Carpenter influence on that first track! chasinvictoria – Did you click the >>| button on the Bandcamp player to hear more? Their new design only shows one track at a time, but the whole album is streamable by hitting the next track button. Once you hear “Voltage” you will simply smack that “buy” button… and love it! Voltage yearns to have been the next Visage song…sorry Mr. Jones, you sound great here, but I just feel Mr. Strange was meant to appear on this one! Electric Eye is certainly cinematic! It also honors what many would call retro Synth-Pop by giving the sound their particular kind of muscle. But I believe it is Blood Moon that really knocked me over. It is a captivating Synth-strumental! Echorich – “Voltage” as a Visage song with Simon and Barnacle on guitars? It’s hard to imagine that song being any more impactful, but… that would do it. I was into all of the instrumentals here. “Violet Alert” certainly made a strong first impression, but I also was knocked out by closing with “Blood Moon.” When is some filmmaker going to put Sky to work? Is he already scoring things that I don’t know about?